After the death of their father, 15-year-old Mairi and her younger brother Jamie are forced to spend the summer with their estranged grandfather in the rural mountains of Northern California. Expecting to be miserable, Mairi is instead drawn into a world of magic straight out of the Celtic fairy tales from her childhood. Facing faerie curses and vengeful druids, a trip back in time to ancient Scotland threatens to become even more dangerous than anticipated when their cousin, Danny unexpectedly shows up with his own agenda, and time is running out to reverse the curse a faerie has put on their family. 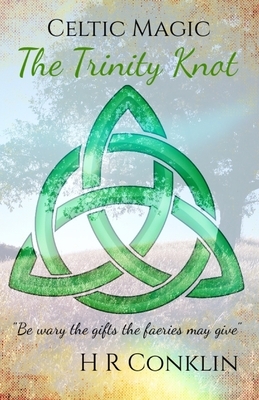 Life wasn't ever going to be the same without her father, but Mairi never imagined she was actually part of a magical legacy.Combining Scotland's history and Celtic fairy tales passed down by the clans on Skye with modern day teens in the United States, this contemporary fantasy fiction for the YA audience encourages a new look at ancient lore, connecting Scottish-Americans to their ancestral roots in an accessible storyline.Follow Mairi as she learns who she is and how her choices impact the world around her in this first book in the series, Celtic Magic.Inspired by books both fiction and educational written by authors such as Jane Yolen and Elen Sentier, this series weaves fantasy and contemporary in an engaging manner.